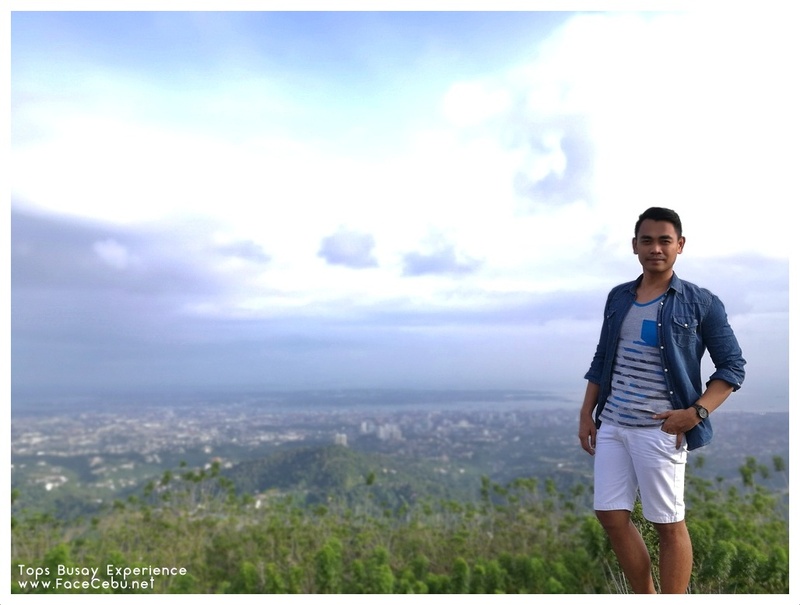 When in Cebu, Tourists should not missed visiting the famous Tops in Busay. Situated at the top of the mountain of Barangay Malubog, Tops gives an amazing view of the queen city of the south - especially during evening. It's famous to everybody as it gives a romantic ambiance to lovers and of course a great venue for family and friends who want to chill away from the busy life of the metro. 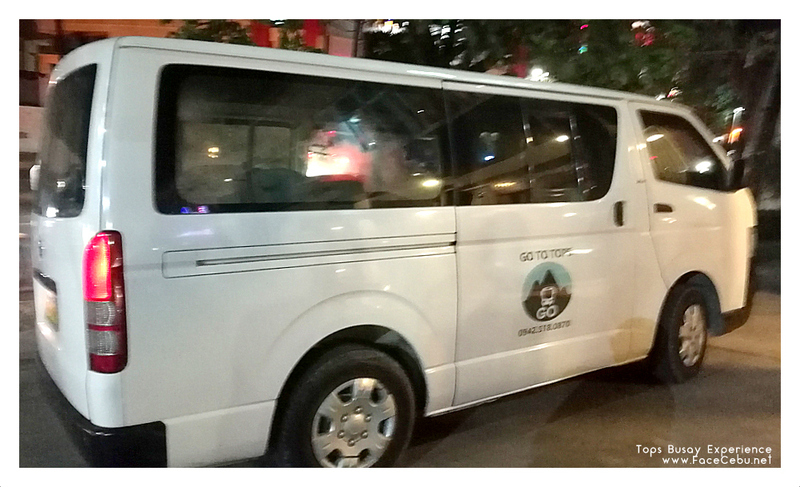 But one of the most asked questions "what kind of transportation do we need to get in going to the top?" Honestly, if you don't have a private car, then commuting is your best choice and for locals, we choose to get a "for hire" single motorcycle also known as "Habal-Habal." But this issue is now gone as Go To Tops gives the resolutions for everybody's concerns. 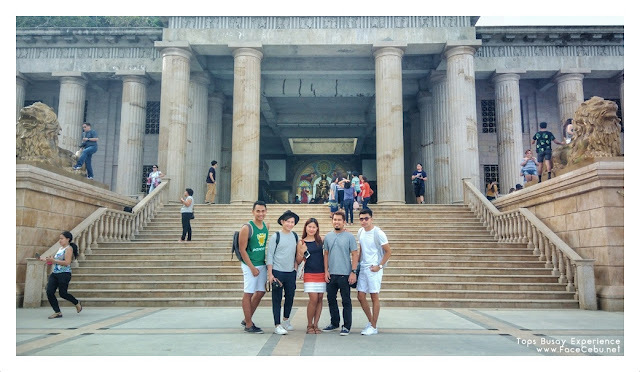 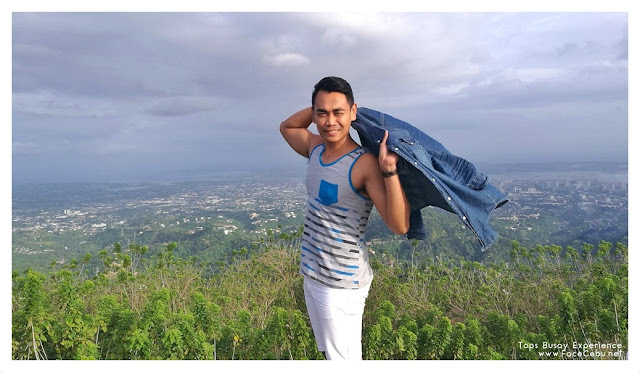 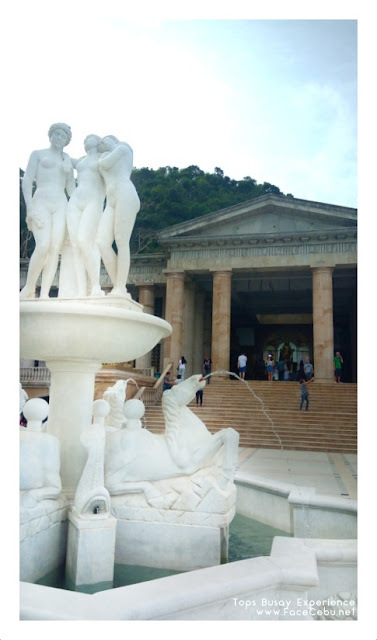 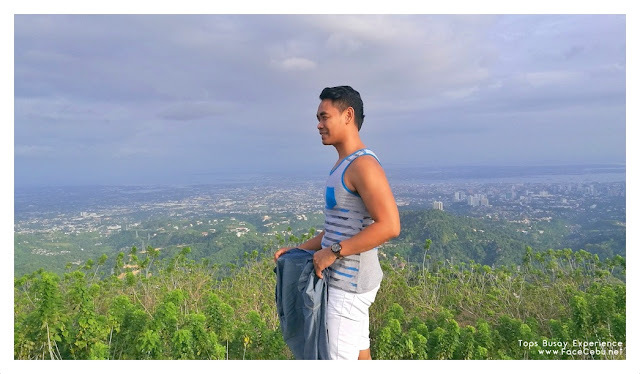 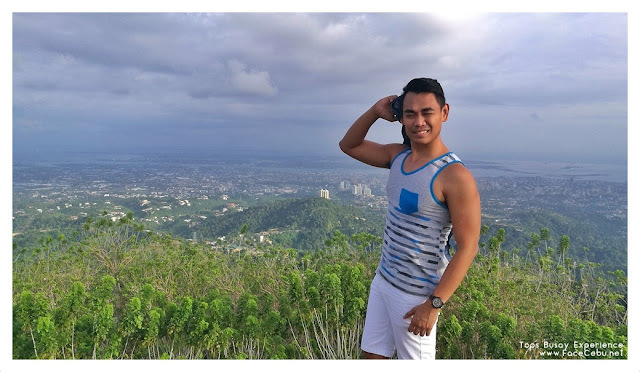 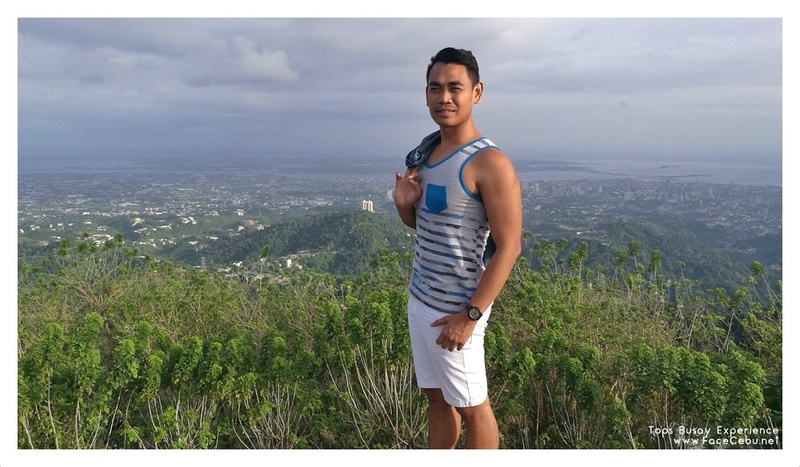 With its mission of providing a quick, convenient, and affordable way out of Cebu to Tops Lookout, Temple of Leah and Lantaw Busay, Go To Tops assured Tourists, Visitors and of course Locals to feel secured with a comfy touch of transportation. 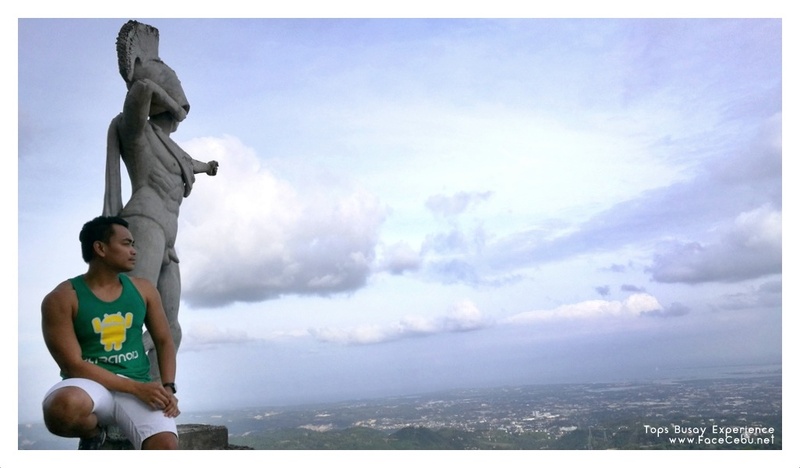 In your PHP 400, you can already go and explore three major destinations at the top! 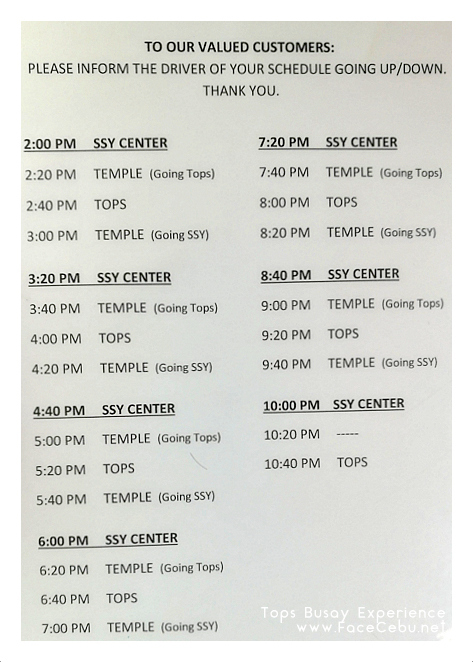 Here are the details of the fare. 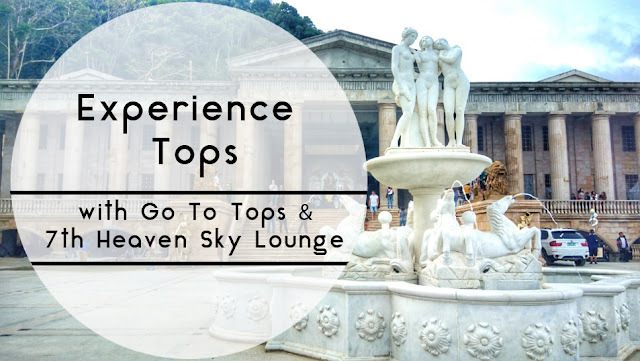 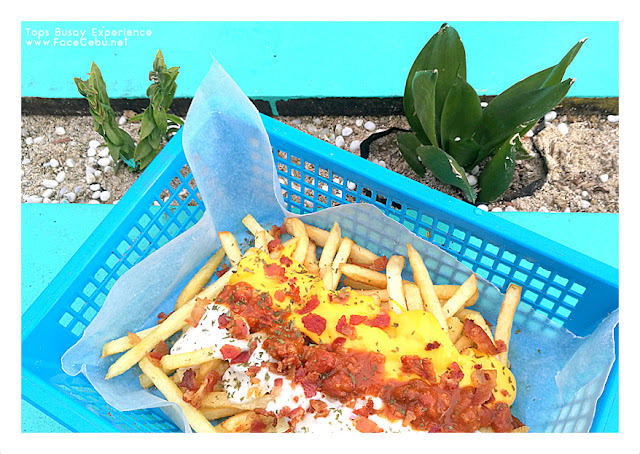 When in Tops, you got a lot of selections to get some food and beverages but as we tried yesterday, go and visit 7th Heaven Sky Lounge for a delish treats of grilled dishes, sandwiches, express meals and of course, grab some booze! 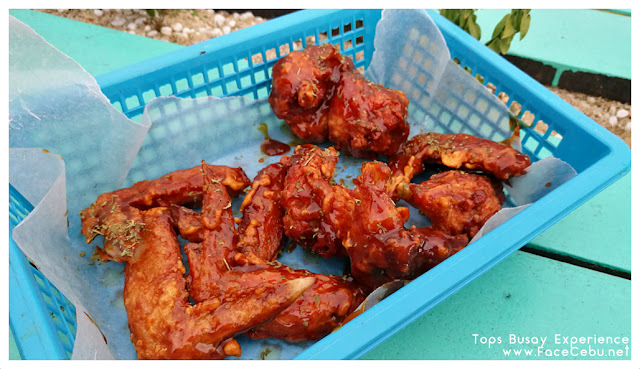 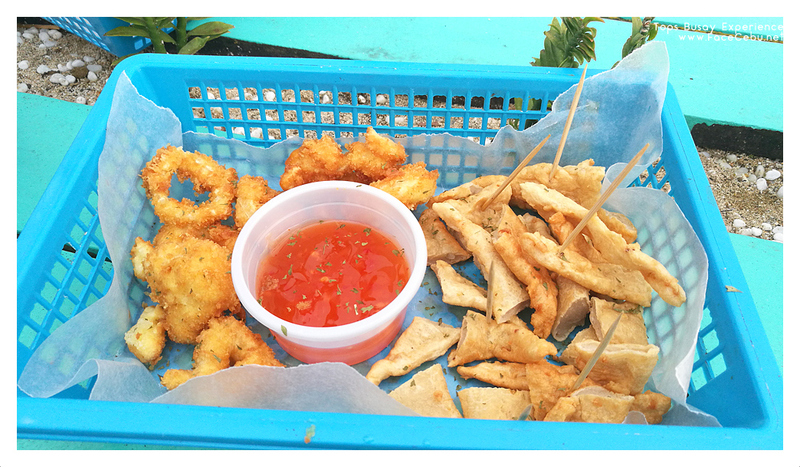 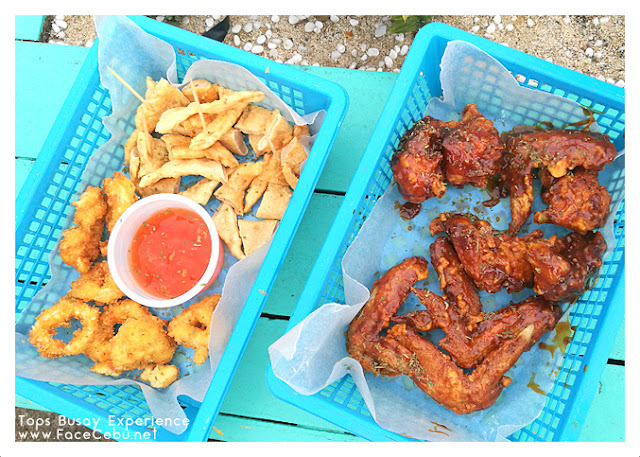 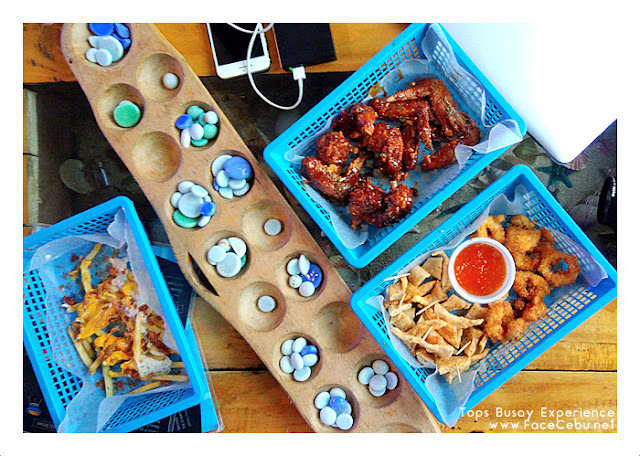 To name a few of finger foods available - tempuras, chicken wings and some fries are indeed finger licking good! 7th Heaven Sky Lounge also gives us some hot chocolate, coffee or tea while enjoying some cold atmosphere at the top. 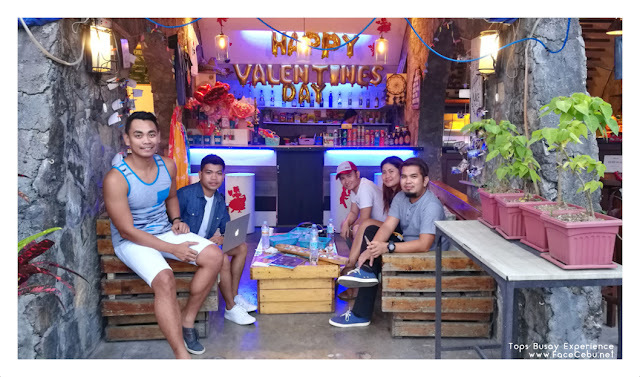 Relax and disconnect from the online world or from the hustle and bustle of the city, enjoy the company of your family and friends and have a great time at the 7th Heaven! 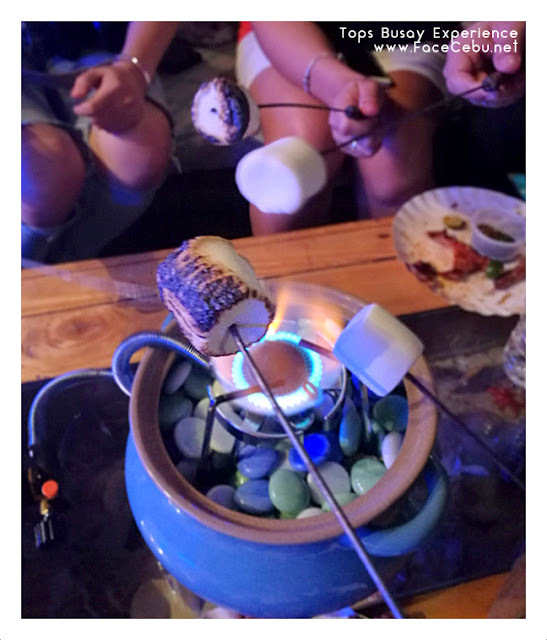 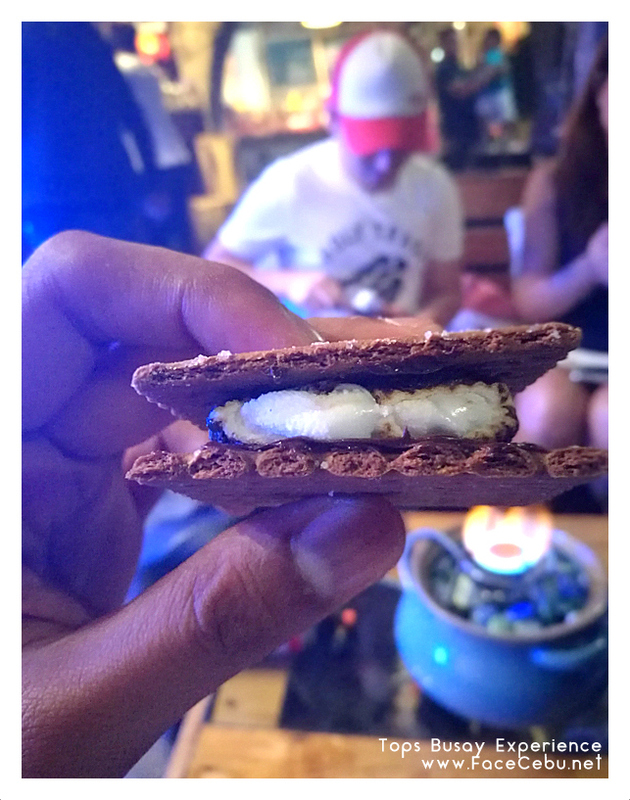 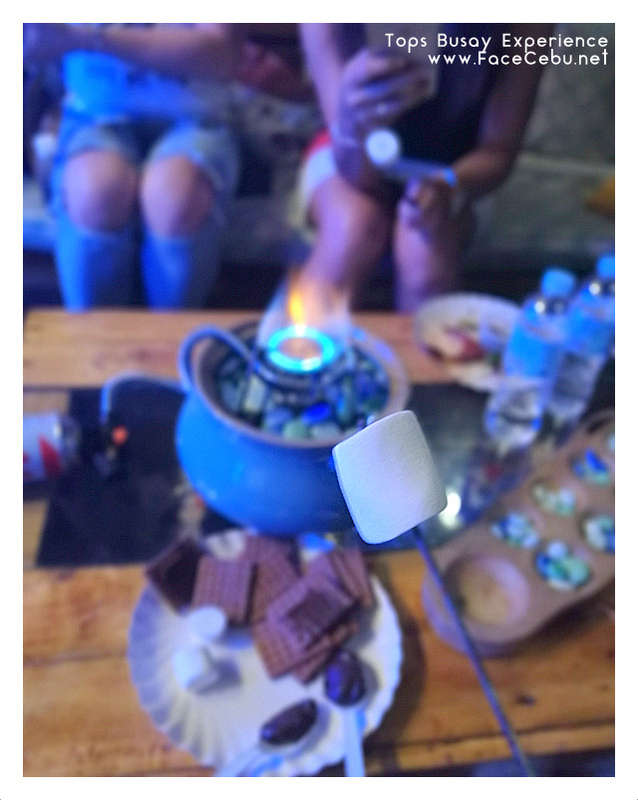 Smores is one of the signature dessert that 7th Heaven Sky Lounge is offering. 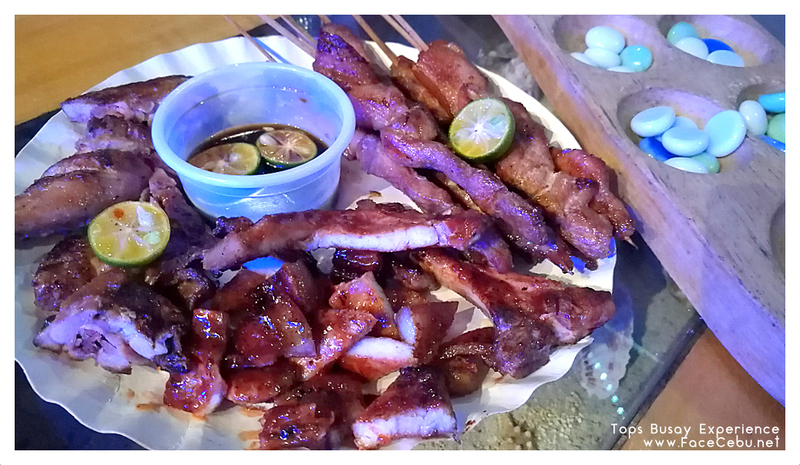 A must try indeed!